Bingo’s rich history can be traced all the way back to Italy, where a game known as Lotto D’Italia spread in the 1500s. In the late 1770s, the game spread to France, and later, in the 1800s, Germany picked up the format of the Lotto game and turned it into an educational tool, assisting students in learning spelling, history, and maths. Today’s bingo games are a far cry from the games held in Italy and Germany in the 1800s, but they can still be used as a tool to teach children. 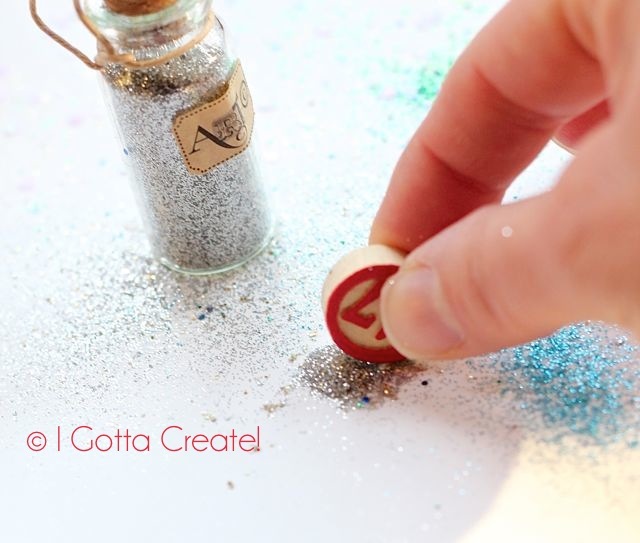 This glitter project for bingo chips that can turn them into push pins for your children’s cork boards. The craft is fairly simple too: Collect all your used wooden bingo chips and apply clear nail polish to the edges. Roll the bingo chips onto the glitter and allow them to dry. Once the glitter and nail polish are no longer sticky to touch, finish the chips off with another coat of nail polish. This Easter bunny art craft is an easy project that your kids can make. Give your kids a dauber each and give them a piece of paper to daub. Let them go crazy and daub wherever they like, but make sure they stop before the sheet of paper becomes too crowded. Next, grab some smaller markers and draw the ears, eyes, nose, mouth and limbs to your bunnies. You can use these Easter bunnies themed papers as a gift wrapper or as an Easter card. Create a one-of-a-kind charm with bingo chips. For this project, you will need bingo chips, eye hooks, alcohol ink, and jewellery charms. Pre-drill the wooden chips with a 1/32” drill bit. 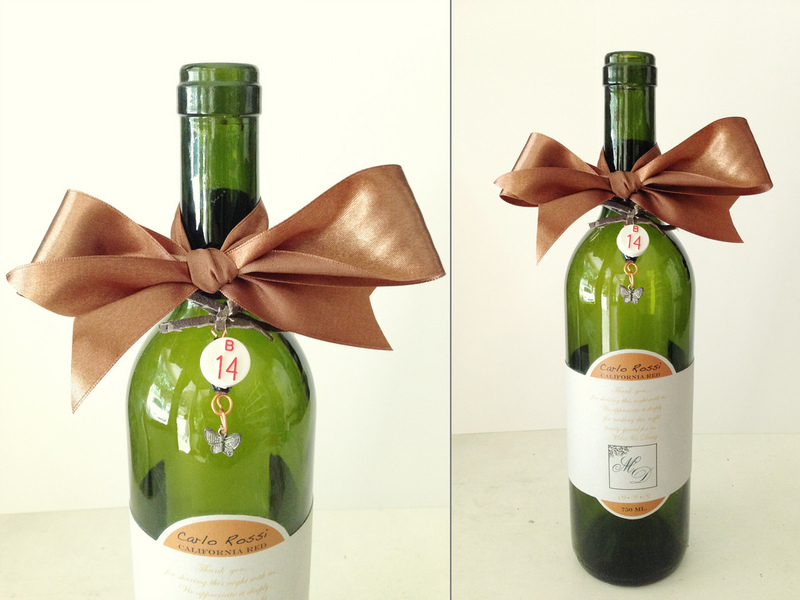 Apply alcohol ink to create a vintage look, then screw the eye hook on the pre-drilled hole. Add jewellery charms like a jade turtle, or a four-leaf clover. Incorporate lessons into playtime with this bingo dauber dot art from DLTK’s Crafts for Kids The site offers free printable bingo dauber projects. 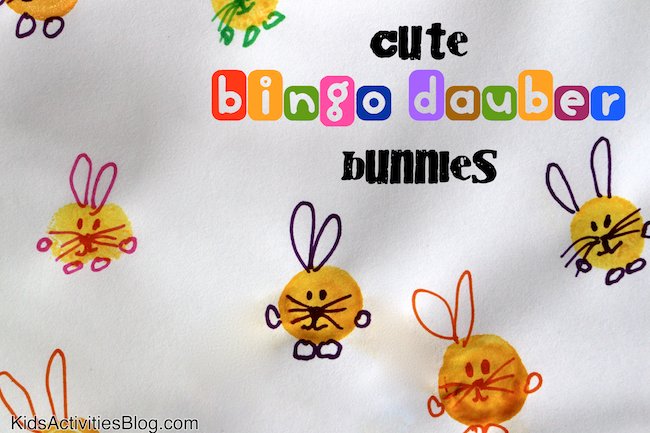 Print out these blank alphabets and let your child unleash their creativity using bingo daubers.